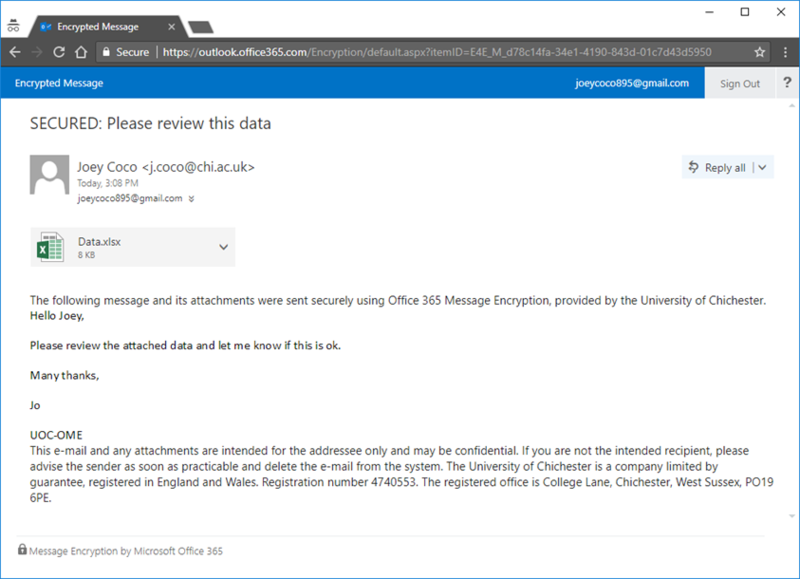 When sending emails to recipients outside of the University from your staff or generic email account (@chi.ac.uk), it is sometimes difficult to determine if these emails are being accessed using a secure method. This is particularly important when the information being sent includes personal data or sensitive personal data about individuals. 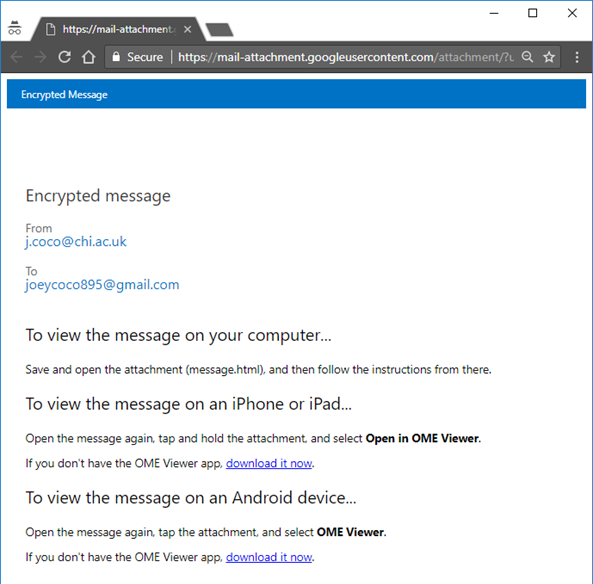 You can encrypt messages and their attachments via your preferred method e.g. the Outlook Web App, the Outlook desktop client, or a mobile device. 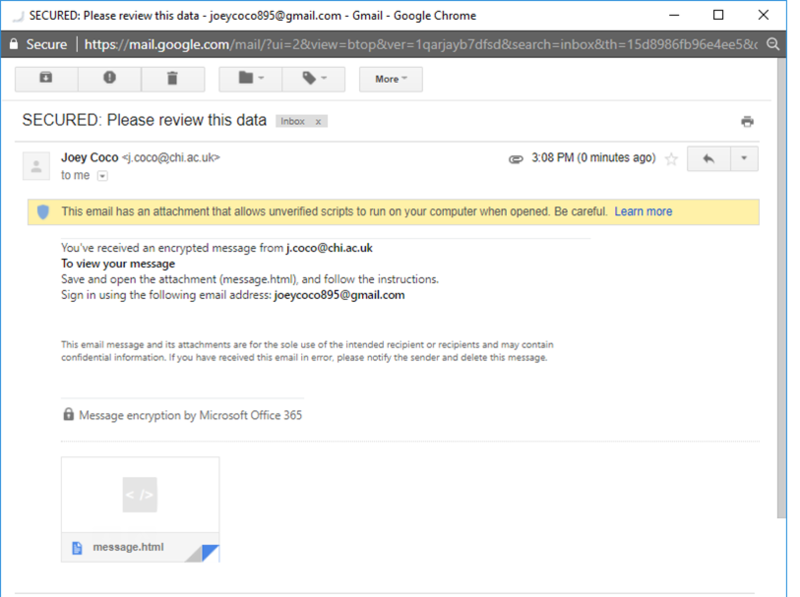 When you send an encrypted message in the way described below, any reply to your email will also be encrypted i.e. the level of security in the original email is maintained. Note: given the high level of security that is applied to emails sent between contacts internally within the University, email encryption is not required for internal communications (@chi.ac.uk email addresses). 1. Compose your email as normal and, if relevant, attach data. 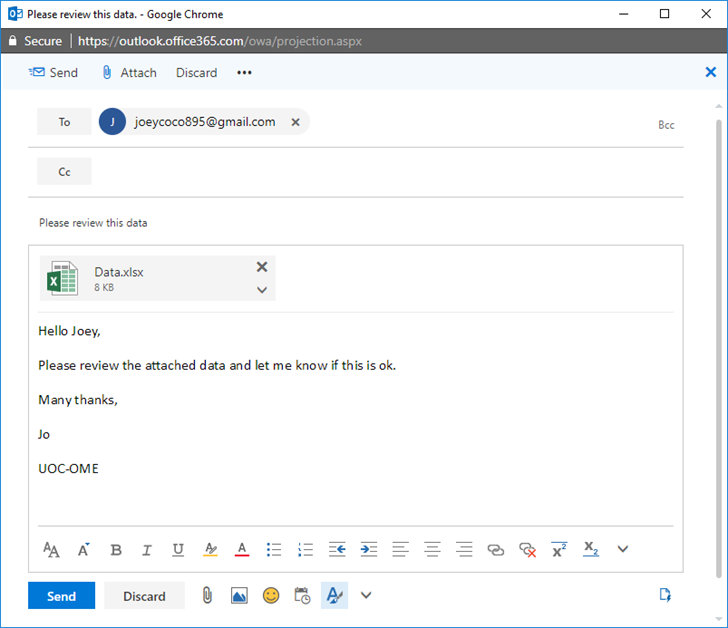 Before sending, please ensure that the phrase UOC-OME is inserted in either the subject or body of the email Send the email when you are ready. 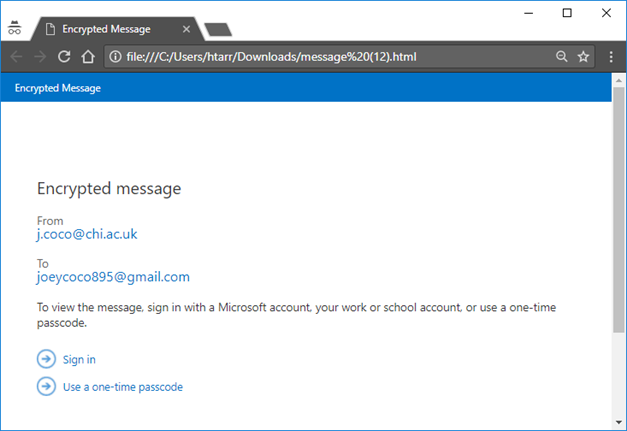 If you would like to be able to send encrypted email from a shared University email address, a technical change needs to be made to that email account first. Please request this via Support Me or SIZ. 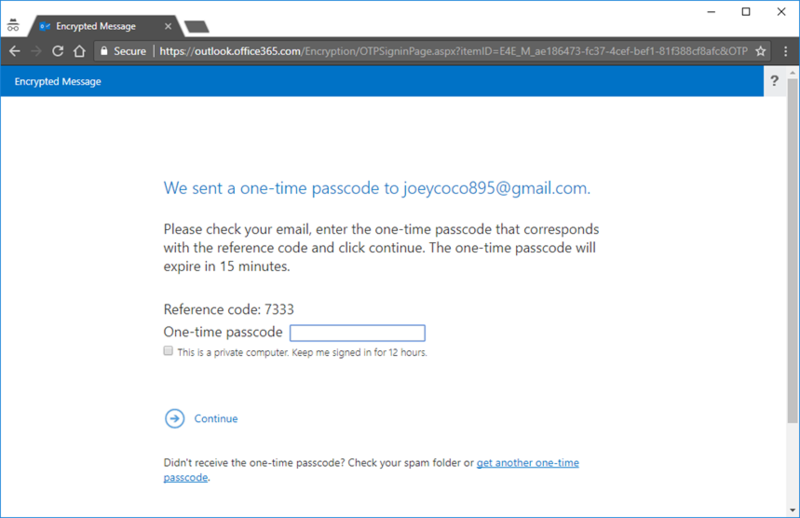 You may also be interested in how to send protected emails using message permission rules from your University account.